TMR has a flourishing career as a professional philosopher — her research in medieval philosophy has yielded notable publications, and her teaching at Ohio State is ongoing. 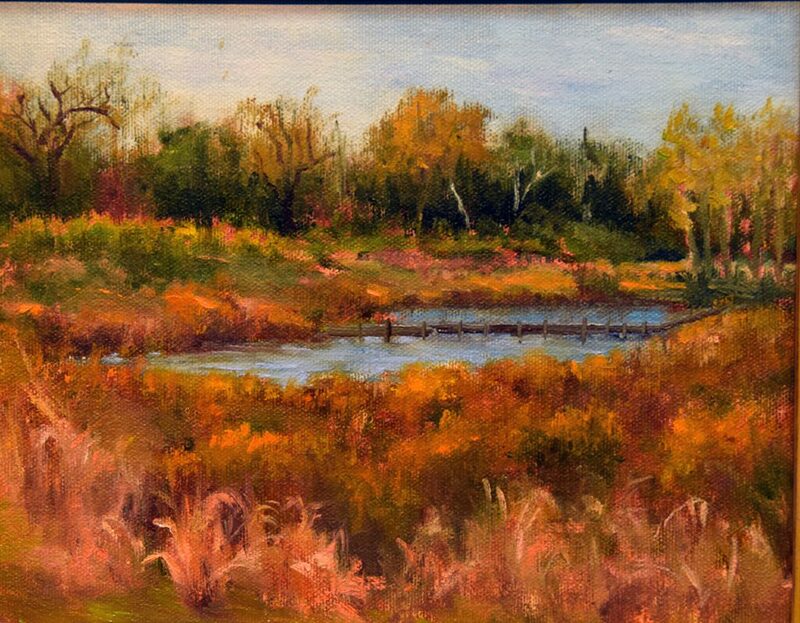 Painting enhances her ‘professional life’; the two go hand in hand. 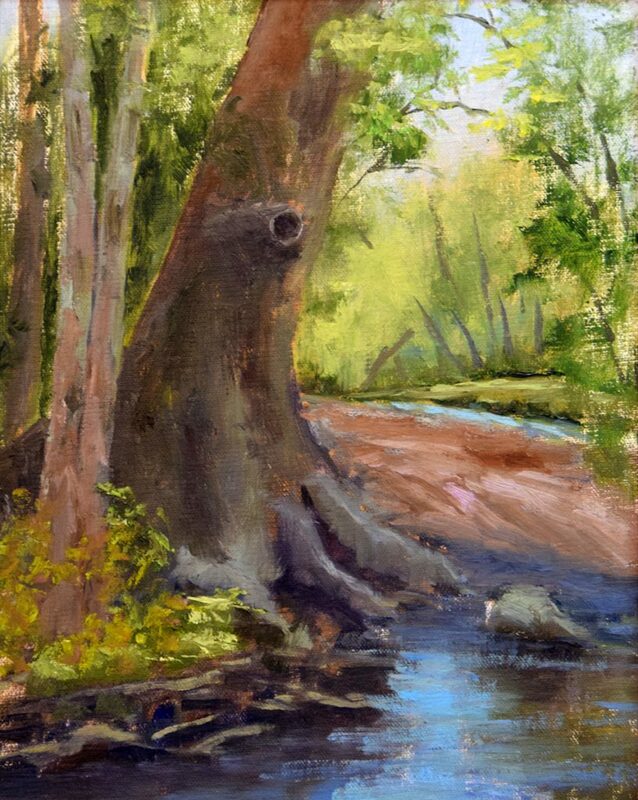 While painting, she is constantly reminded what it means to be a student of nature. 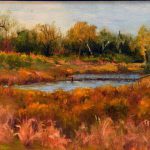 Painting, both plein air and studio, allows for a high level of meditative awareness, and a studied appreciation of the outdoors. 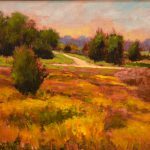 She has been fortunate to be able to travel overseas fairly often for conferences, and has used those opportunities to paint — Provence, Brussels, Amsterdam, Jerusalem and Greece. 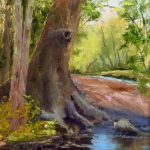 She has been fortunate to study with some of the finest teachers, having taken classes and workshops with Chuck Marshall, Marc Hanson, Fred Fochtman, John Cosby, along with long-time plein-air teacher Joe Lombardo, and most recently Mary Jane Ward. Spinoza reminds us that we are but “a speck in eternity”; but what greater joy can there be than to participate in eternity by rendering the temporal a thing of beauty. Her works are available through Turner Studio and Gallery. Also check her website tmrudavsky.com.